The statistic shows the total insurers investment portfolio in the United Kingdom (UK) from 2011 to 2016. Insurance companies are one of the major pillars of the financial systems in economies worldwide. They are involved not only in their direct business, but also play a major role in country's overall financial investments and intermediation, mobilizing financial resources and channeling them into different investment avenues for productive use. 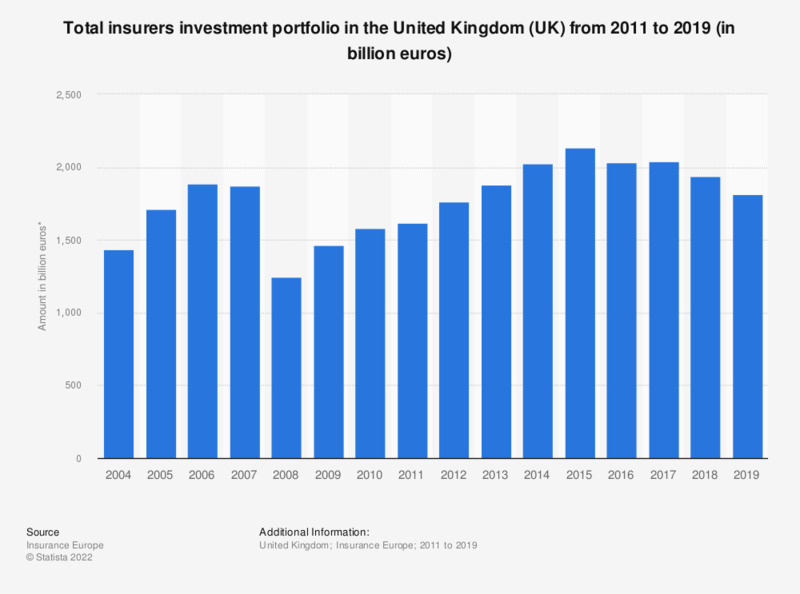 As data presented on the graph illustrated, in 2011 the total amount of investment portfolio of all insurance companies in the UK amounted to over 1.62 trillion euros. This value grew steadily over time, to reach the level of nearly 2.3 trillion euros by 2016.